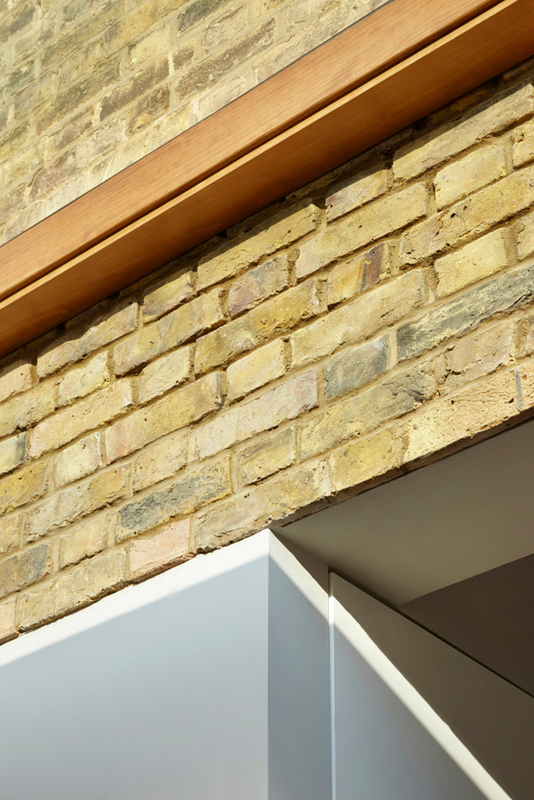 The project revolves around a three metre high glazed pivot door that creates a theatrical connection with the rear garden. In section, the new door protrudes from the sloped roof creating a dynamic form internally and externally that is both surprising and daring in this suburban context. 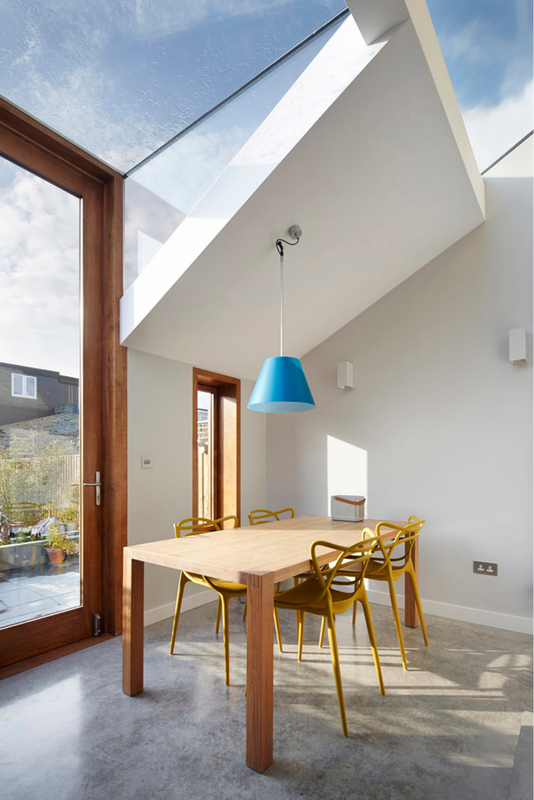 The newly formed dining space defies it’s modest footprint (10m2) through the abundant light and sense of volume that is achieved as a result of the projecting glazed ‘lantern'. The door also acts as a finale to the vista and enfilade running the length of a central axis through the house. 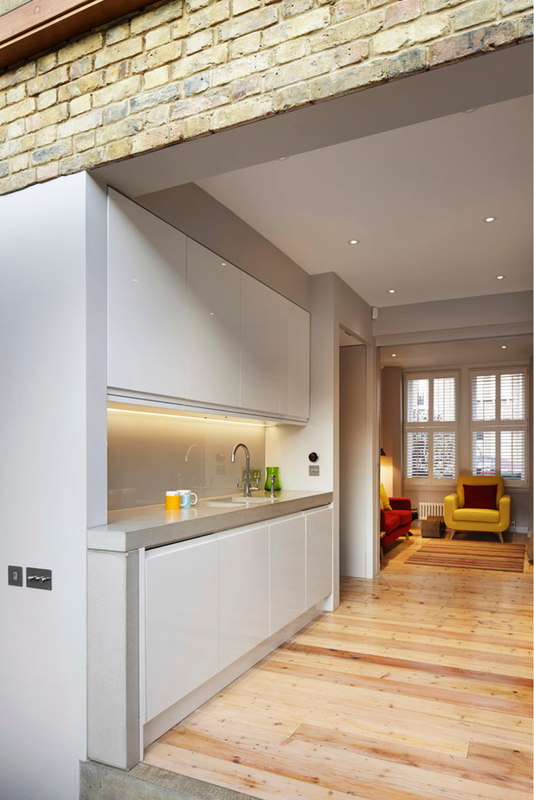 For a London home, these moves are imaginative ways of creating a real sense of space together with a feeling of architectural occasion. 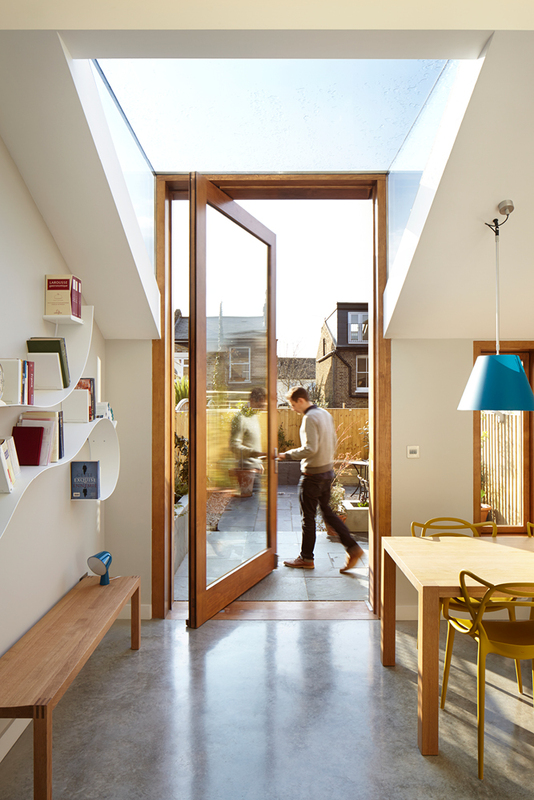 The exaggerated door offers an almost civic quality to the dining room, a feeling enhanced by the stepping down of the new extension to a lower level with a polished concrete floor and stairs. 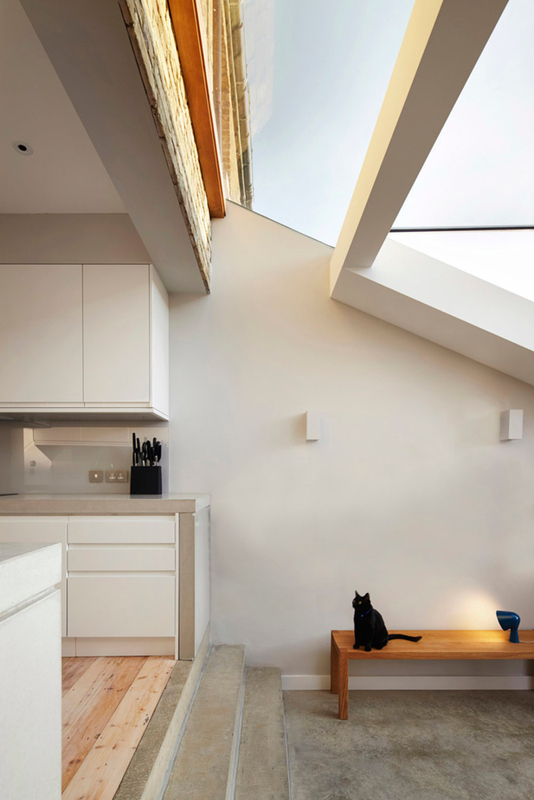 Modest in scale, this project is nevertheless a combination of big and small measures that, together, transform a city home into something that, with its artful generosity, is both practical and distinct.